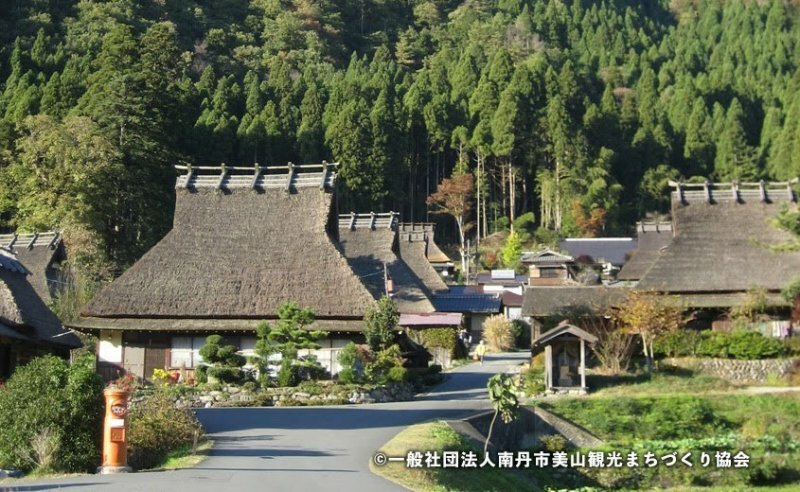 Stay in a thatched village farmhouse and explore the natural beauty of the seasons and traditional rural culture in Kyoto Miyama. 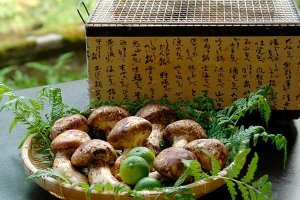 You can hike in the forest, fish, swim, kayak, cycle, help out in the vegetable garden or the rice fields, pick blueberries and eat your fill of delicious and healthy local cuisine including sweetfish, matsutake mushrooms, wild game meats and mackerel sushi. 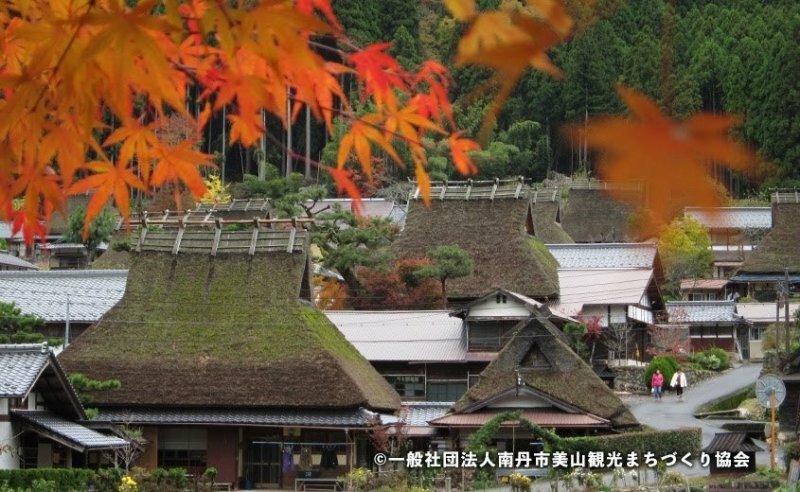 Miyama is found in the area known as Nantan City which straddles the center of Kyoto Prefecture. The word ‘city’ could not be further from the reality. Nantan is in truth a collection of villages and farms, forested mountains and valleys rich in wildlife, pristine rivers and streams full of fish, inhabited by special people who make their homes and livings in this beautiful and natural setting. 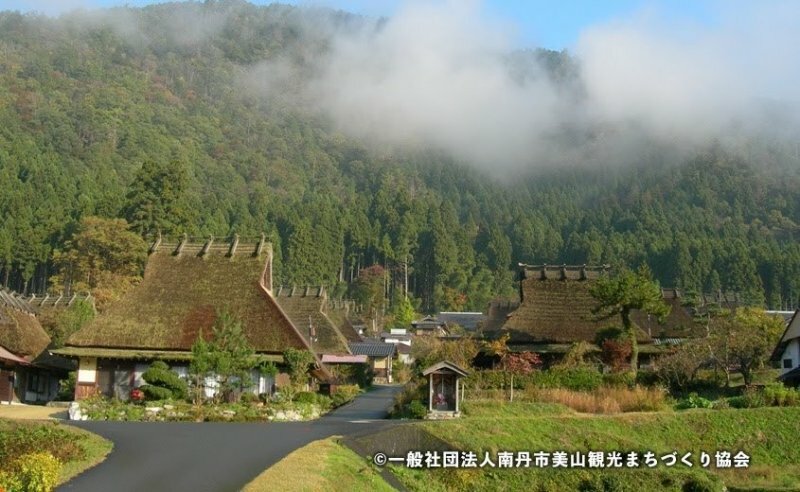 Miyama offers visitors to the area many wonderful opportunities for adventurous and interesting experiences. 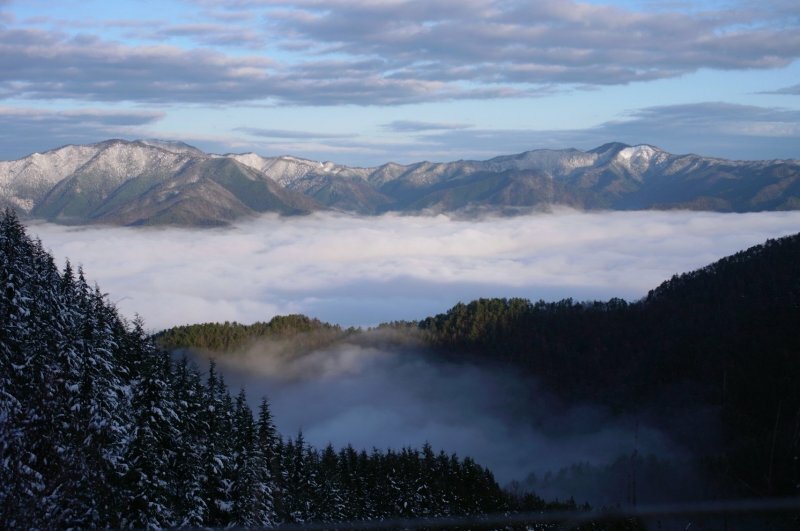 Forest covers most of Miyama’s area. Ashiu Research Forest is described as the largest Beech Forest in West Japan, and includes many different species of trees, ferns and moss. The forest is home to many boar, deer, bears and monkeys. 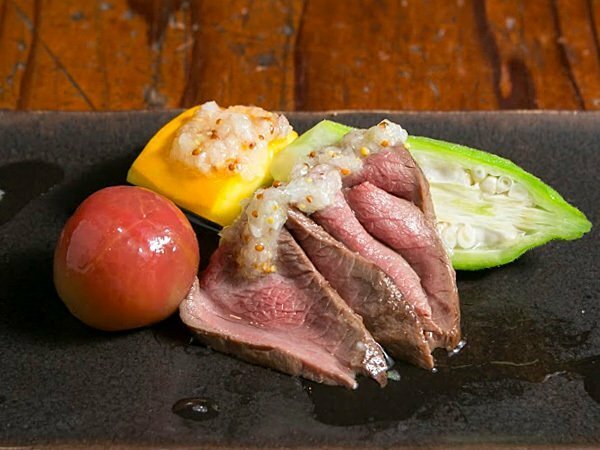 Japanese serow, a kind of chamois, also live here. It is a great place to go hiking, however the forest is protected so you must get a permit to hike here, or preferably join a guided tour. The beautiful rivers in the area are popular with rafters and kayakers. Visitors can book river tours with friendly, experienced guides who know the rivers well from mid-April to mid-October, which is a good idea because there are some challenging rapids on the rivers. And of course you can also go fishing, swimming and even waterfall climbing! 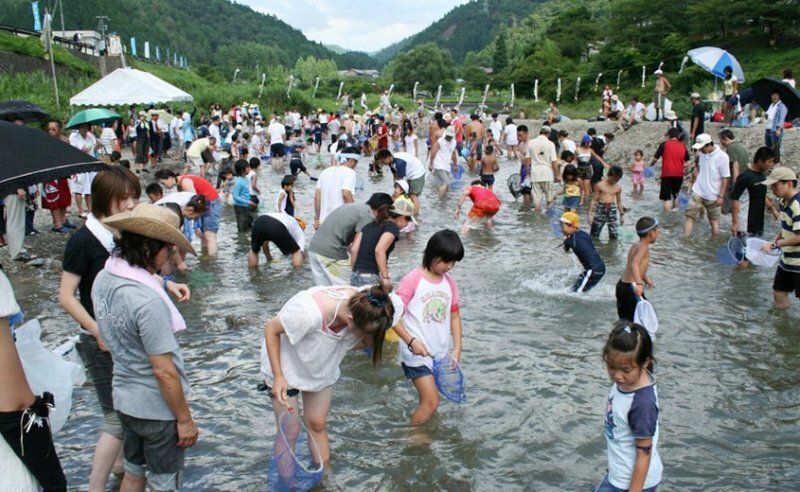 The water in the Yura River (also known as Miyama River above Ono Dam) is crystal clear, and there are good places to swim and play. You can see the fish swimming around without goggles. The riverside is the perfect place for summer barbecues. It is a wonderful place to take children. 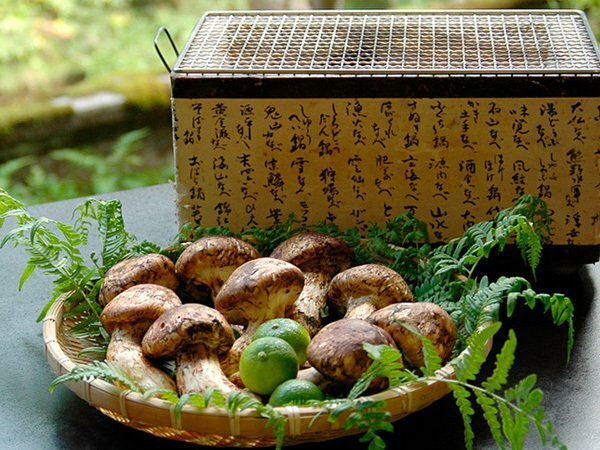 The natural abundance of Miyama is reflected in its food. 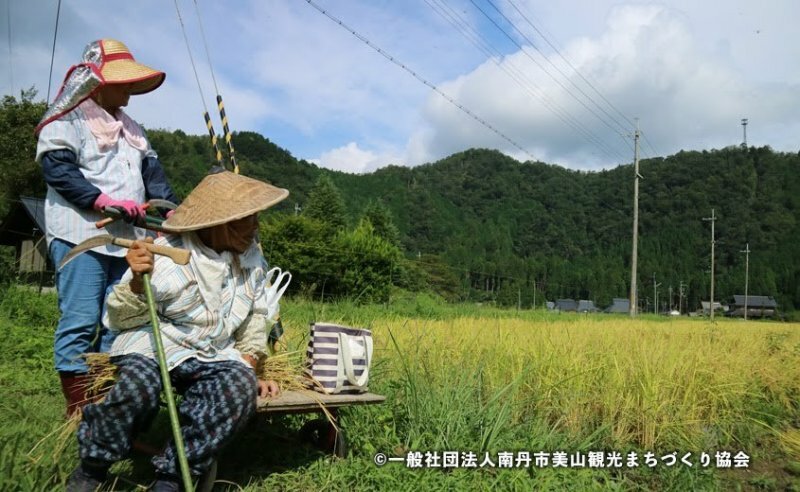 In summer the much-prized ayu, or sweetfish, can be caught in the clear rivers and streams. 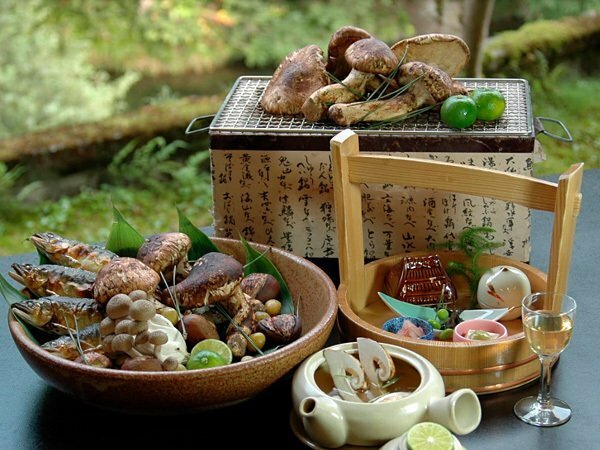 In autumn, delicious matsutake, or pine mushrooms, are gathered from the forest. Hunting supplies venison, boar and other wild meats to the table. 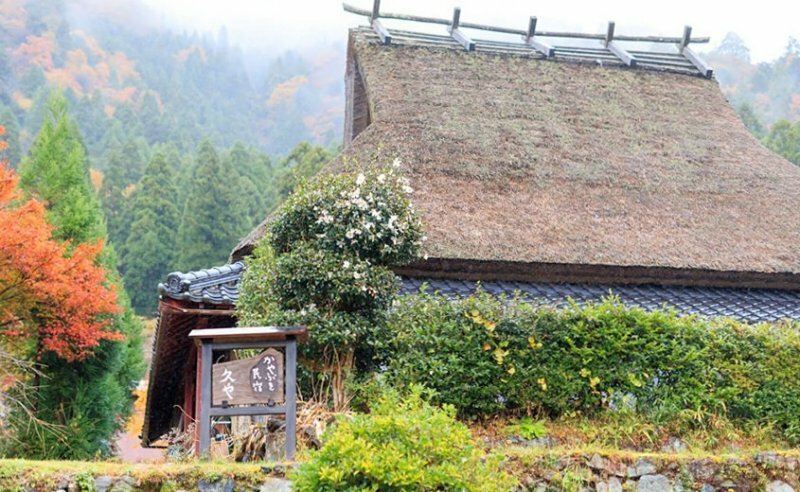 Some of the finest rice, vegetables and herbs in Japan are also grown here, including organically raised rice and wild rice, by Tautasha, a self sufficient community that operates a cafe, lodge and store in Miyama (they also run many of Miyama’s tours and activities). 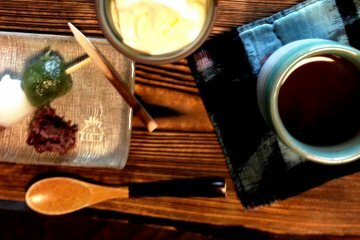 Finally, Miyama is famous for many kinds of mackerel sushi. 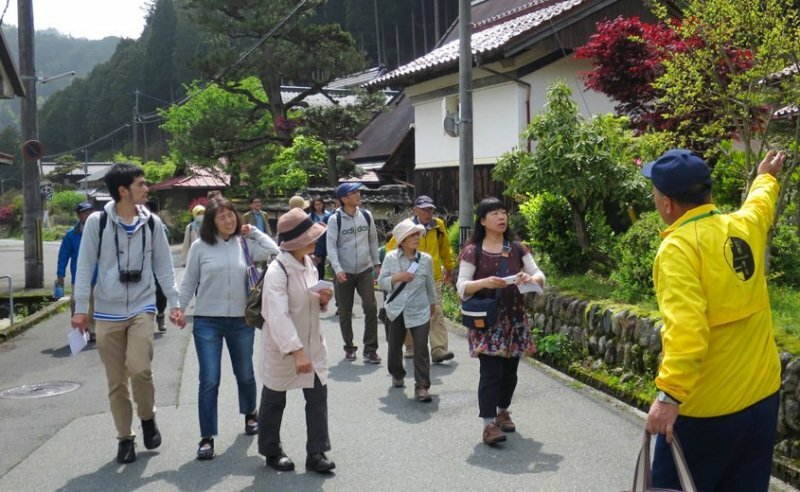 This is because Miyama stands on the ancient nishi no saba kaido, or west mackerel road. 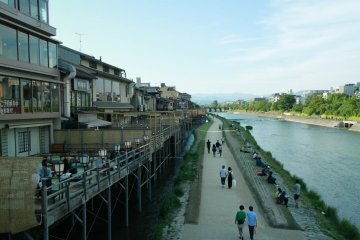 Mackerel and other goods traveled along this road from the coast to the old capital of Kyoto. 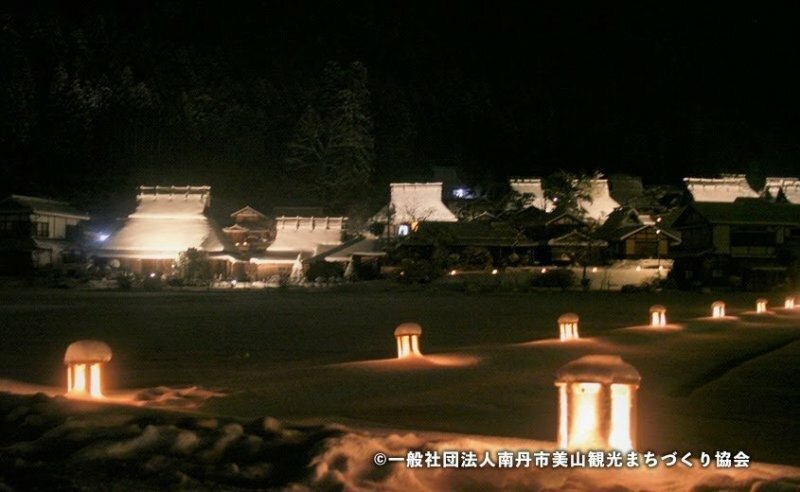 Kayabuki-no-sato is probably Miyama’s best known claim to fame. 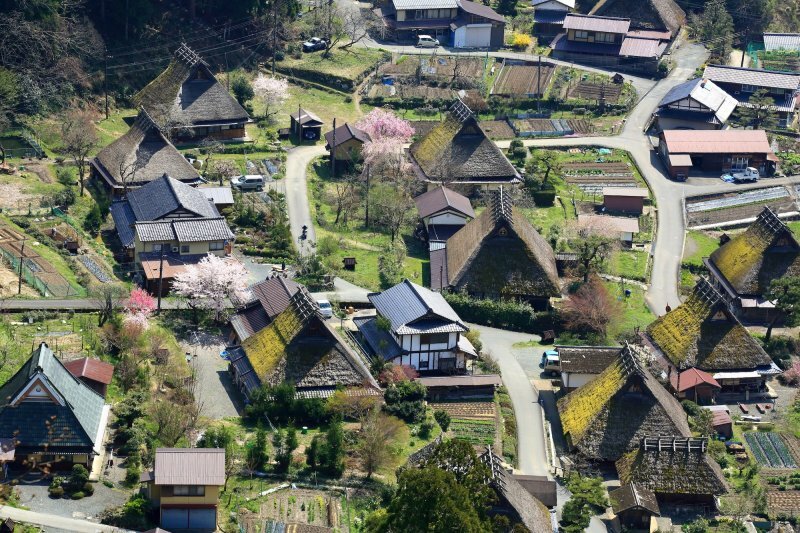 Like Shirakawa-go, it is a living museum. 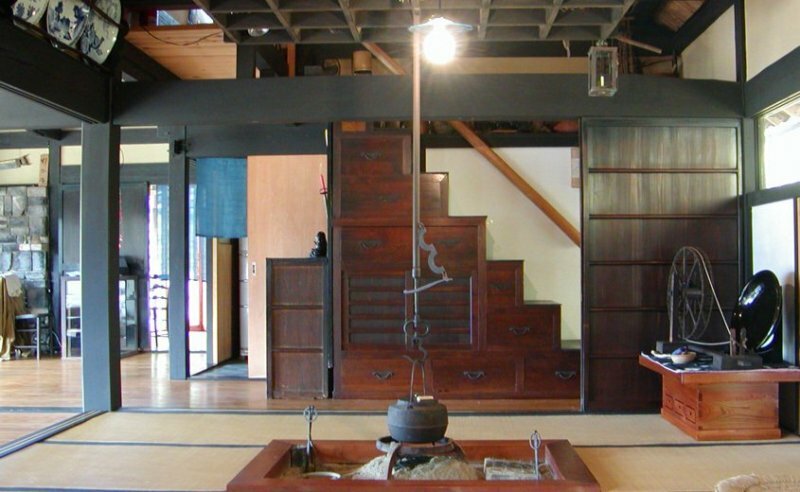 The oldest house dates back to 1796. 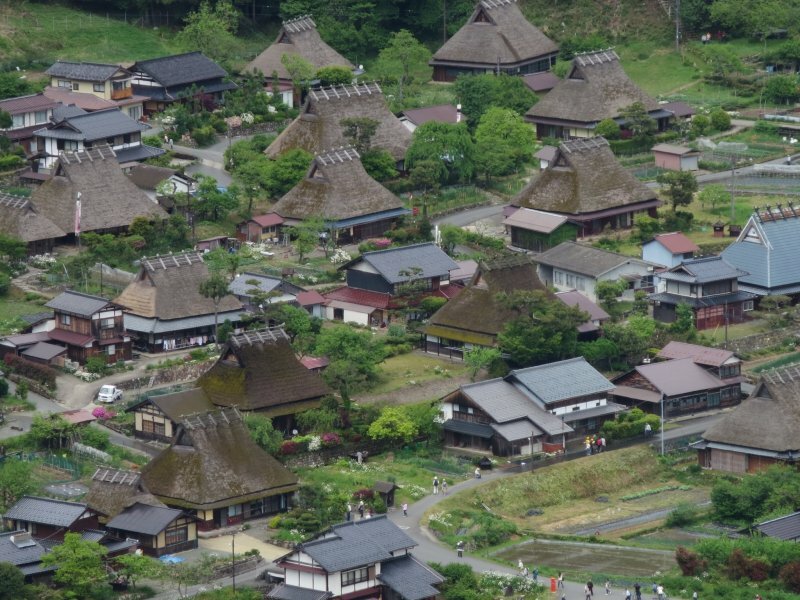 Local people still live in many of the beautiful old thatched roof houses, while others have been converted into shops, restaurants and places for visitors to stay. 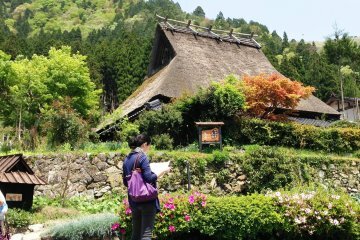 However most tourists have never heard of Miyama, which means it is a lot less crowded than Shirakawa-go. 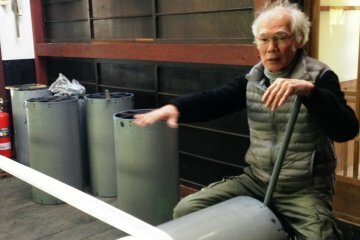 Because of the threat of fire, fire-fighting hoses are installed throughout the village. Twice a year, on May 20th and December 1st, the equipment is checked, and the whole village gets sprayed with water. 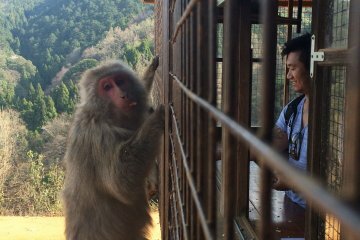 It is an impressive sight, and many tourists come to watch and take photos. 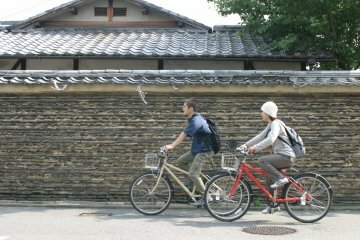 You can explore the village and surrounding area by hired bicycle if you want. 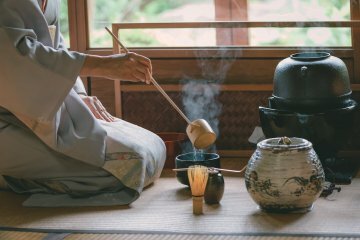 There’s also a tour with a local storyteller, which includes teatime with matcha and sweets and costs ¥5,000 per person. 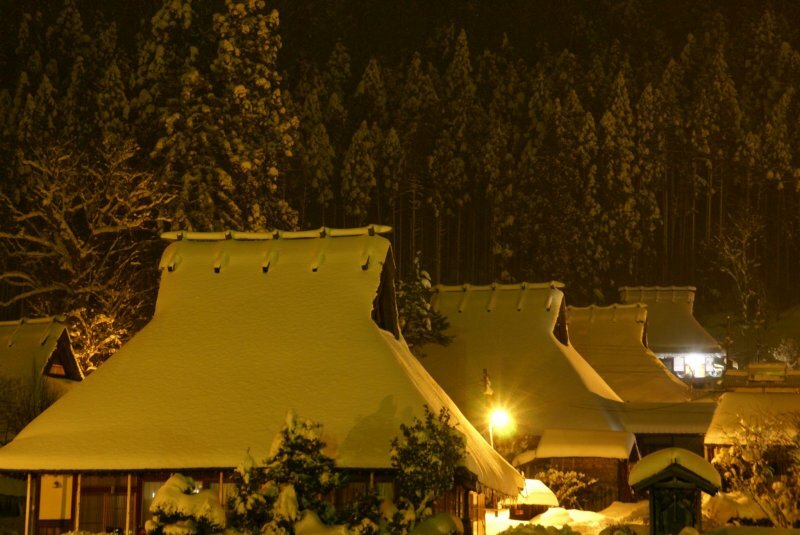 In winter the landscape and the steep roofs of Kayabuki-no-sato look magical covered with snow. You can’t enjoy many outdoor activities but there are snowshoe trekking tours, and a snow festival in February. In spring and autumn festivals are held at Ono Dam Park where 1,000 cherry trees and 500 maple trees are planted around the lake shore. 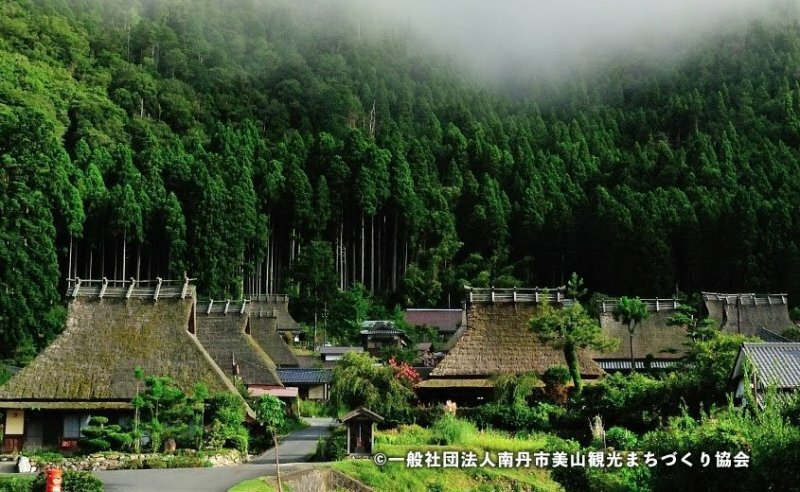 In summer, Miyama is the perfect place to escape the worst of the heat and humidity. 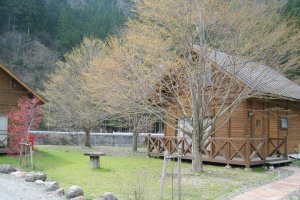 During the day you can cool off in the river, and at night it is cool enough to sleep comfortably. From late June until September you can go blueberry picking at Rennyotaki Blueberry Farm. For ¥1,000 yen (kids under 12 are only ¥500 yen) you and eat as many blueberries as you want, and fill one pack per adult to take away. There’s no time limit either, but you do need to make a reservation. After the rice harvest there is a lot of straw left over. When winter snows suspended their outdoor work, farming families would spend the winter making the straw into rope, baskets, sandals and other useful items. You can join a 90 minute straw workshop and learn how to braid rice straw into a bracelet or headband. 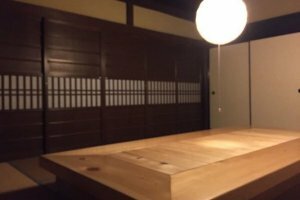 You need to make a reservation 7 days in advance (negotiable) and the workshop costs ¥21,600 for a group of up to 5 people, and ¥3,240 for each additional person. Mochi, or sticky rice cake, is delicious. 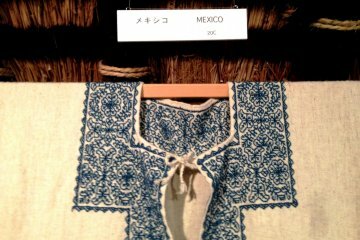 It is made by pounding cooked rice in a wooden bowl with a huge wooden mallet. Of course you get to eat some mochi as well. 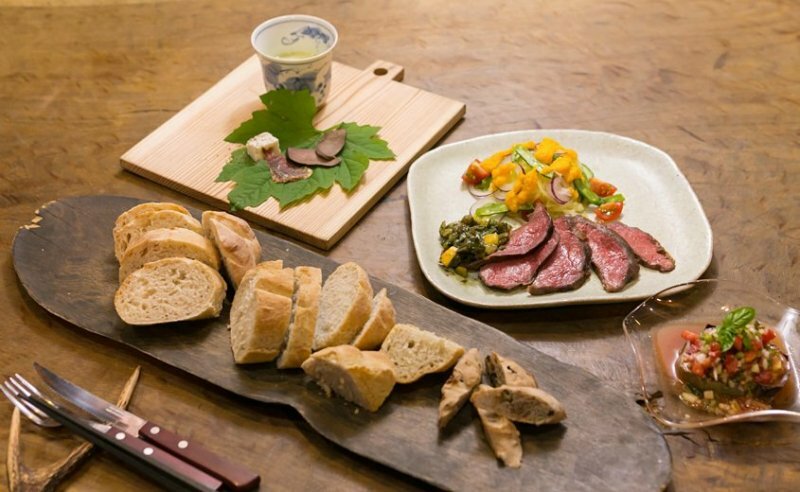 This fun activity takes 2 hours and costs ¥10,800 for a group of 3-6 people. From mid July to late August you can learn how to catch ayu, or sweetfish, in the river. 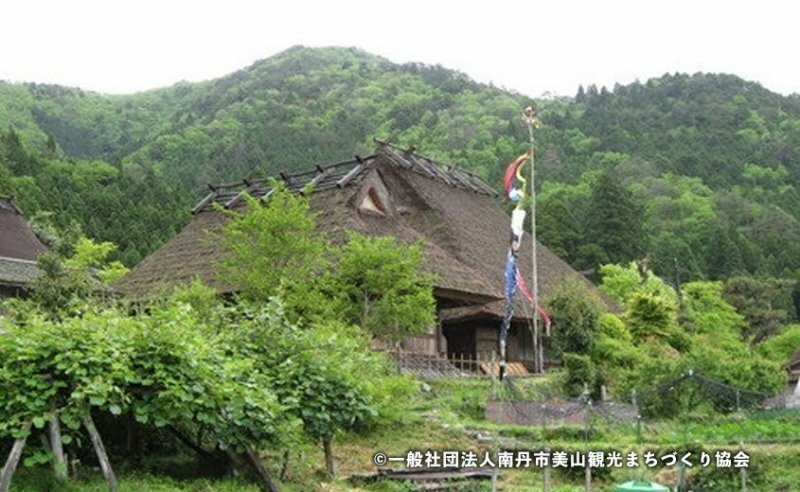 Advance reservations are necessary and it costs ¥2,000 for adults and ¥1,500 for elementary school children. 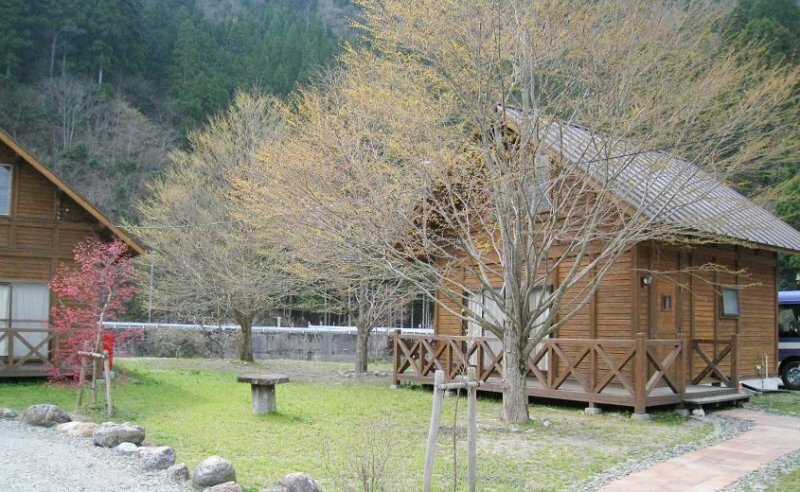 From April to October Miyama is a great place to go camping and there is a camping ground with support facilities run by Miyama Nature & Culture Village Kajikaso Inn. 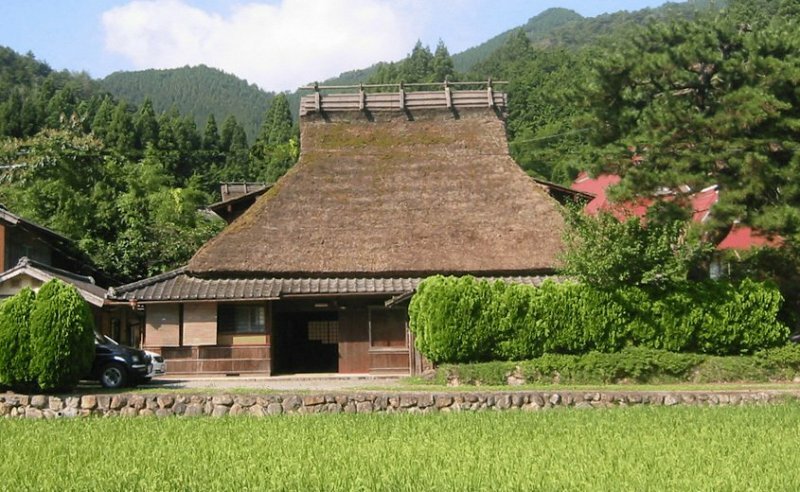 One of the best ways to enjoy a visit to Miyama is to stay in one of the farm houses in Kayabuki-no-Sato. 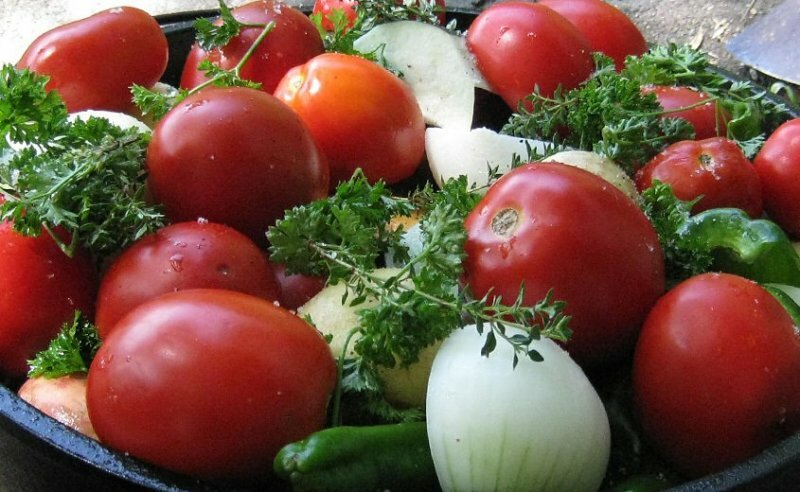 That way you get to meet locals and experience the lifestyle and culture of the area firsthand. 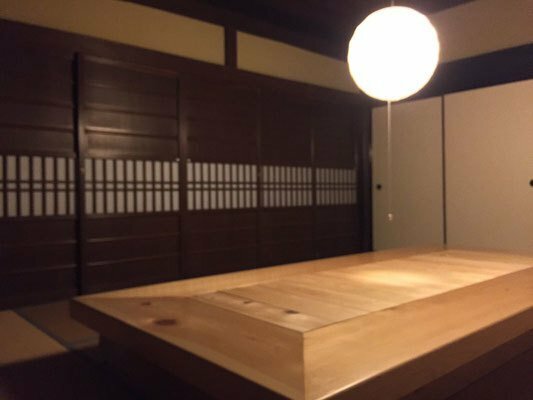 You can choose from thatched accommodation, a farmhouse stay, a minshuku guest house, a traditional style ryokan inn, or even rent a whole house. 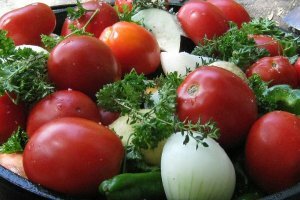 Thanks for this great article and info . What a neat spot! 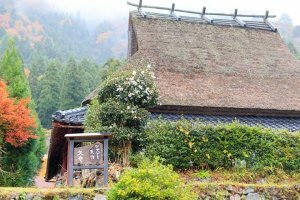 It'd definitely be an amazing experience getting to stay in one of those thatched roof houses - putting it on the bucket list! 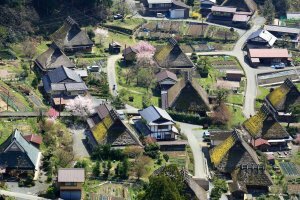 I passed through this town years ago and wondered at the picturesque kayabuki yane (thatched roof) houses. I had no idea I could stay there. 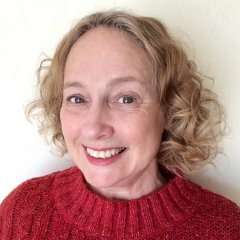 I’m going back!